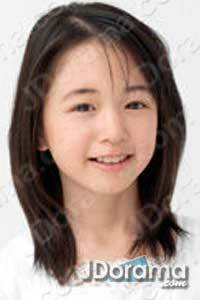 she's an adorable little girl.. very talented and cute.. she is definetely gonna be one bright star in the future..
kawaii! she made this show. this 4 year old little girl has soo much charisma and talent! Nanami! She's so kawaii! Super-adorable in Hotman! Acted very well for someone so young! Ya man! She's truly amazing!!! Haha. So cute!!!! (bcgurl, u r here too?) Lol. Great in both Hotman dramas! I wanna see her grown-up in some new big drama. SHe's so cute and she can act so well although she is so young!!! She's soo0oo cute n talented..
Cho kawaii!!!! She's very talented little girl! She's soooo CUTE!!!! Great actor ! I am defeated by her cuteness. Let's put her in the top 10! I want to hug momo.